Mr. Reinhold Dornfeld founds on August 17th the "Deutsche Elektromaschinen- und Motorenbau Aktiengesellschaft" (short DELMAG) by a merger of the forerunner companies "Esslinger Holzbearbeitungsmaschinenfabrik Pflüger & Steinert" and " Walter Fischer & Co." The production range includes initially portable wood saws und cutting machines and electric motors with flexible shaft. 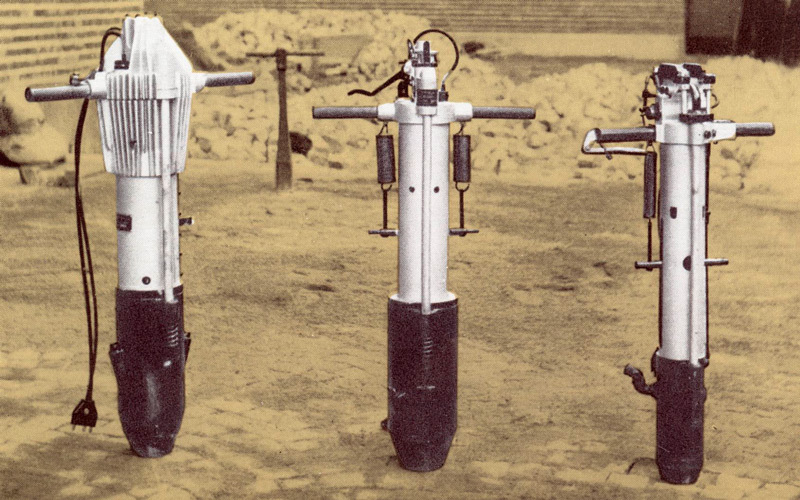 The first explosion rammer in the world developed by Dipl.-Ing. Konrad Haage in cooperation with Ing. Albert Pflüger is patented on 16th Juli. DELMAG specializes in the production of road construction and civil engineering machines. The DELMAG frog developed by the chief designer Mr. Haage causes a sensation at the trade fair in Leipzig. 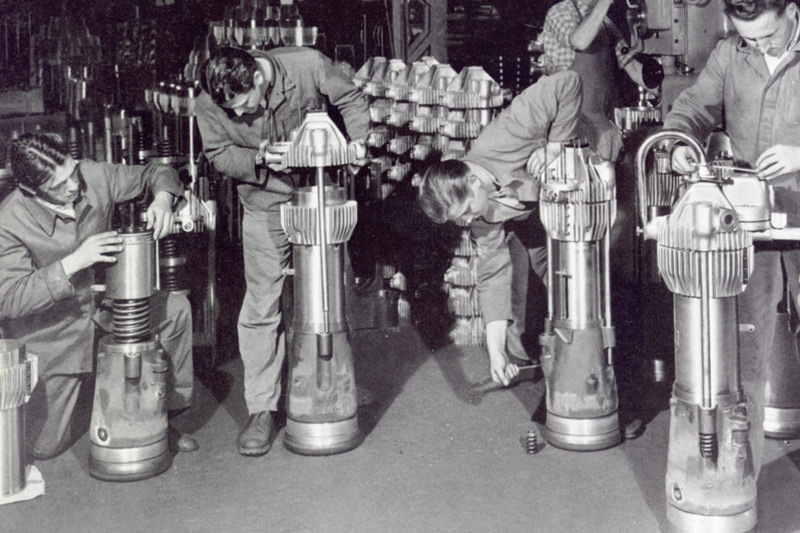 Invention of the principle of impact atomization for diesel pile hammers by chief designer Haage. The new diesel pile hammers make DELMAG known in the whole world. Due to the decision of the Allies DELMAG is placed under trusteeship. Reinhold Dornfeld reassumes the management. As temporary solution steel garden tables and trolleys are produced. 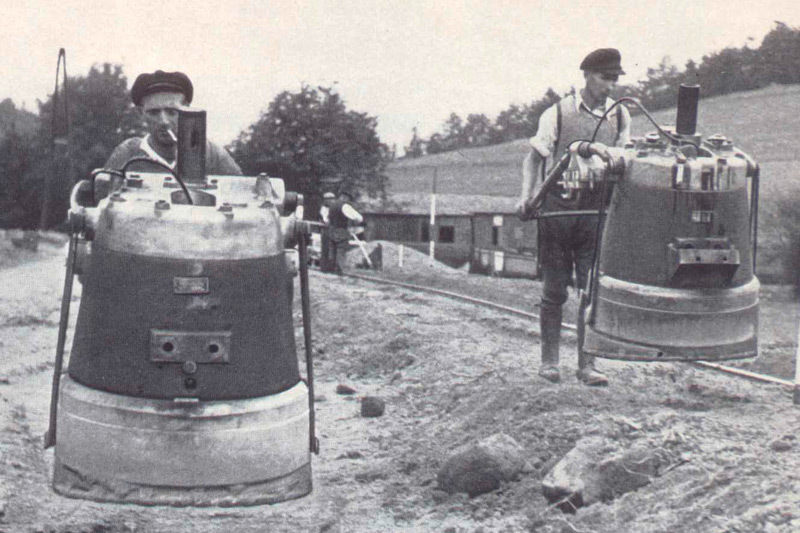 The production of road construction and civil engineering machines moves to the forefront again and exceeds the pre-war level. 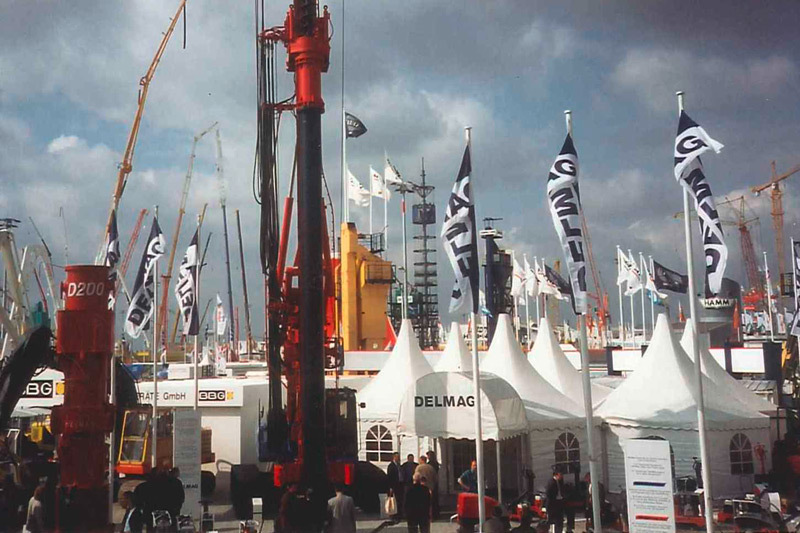 The first track mounted DELMAG piling mast ist introduced. Soil compactors extend the production line. 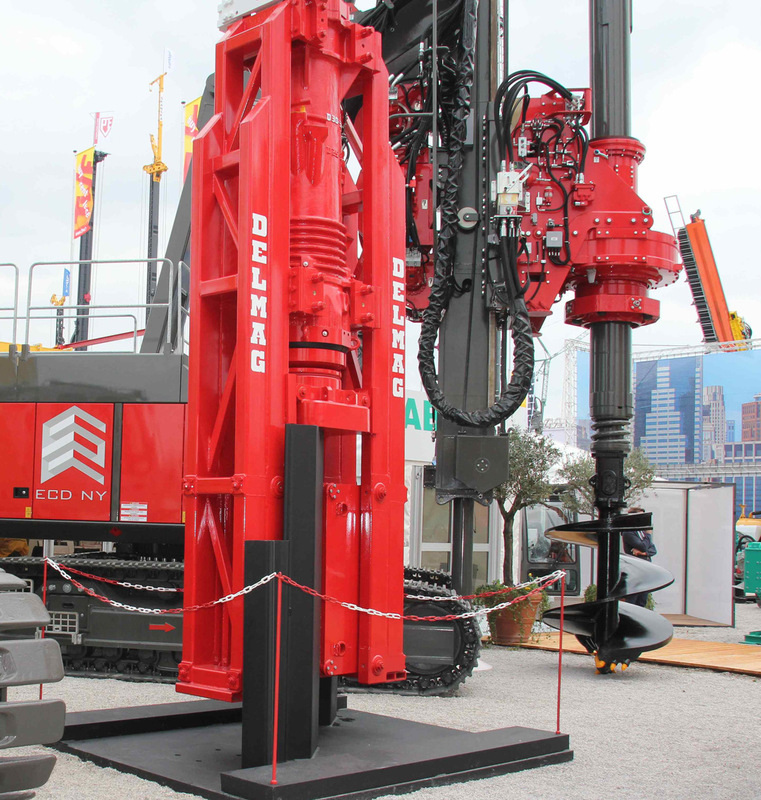 DELMAG begins with the development of hydraulic drill rig RH 155 the predecessor of today's drill rigs. The founder and managing director of DELMAG passes away on January 21st. Eberhard Dornfeld is from now on the sole general partner in the company. A new diesel pile hammer generation in sizes D8 to D80/100, better and more cost efficient leads and new vibrating plates are developed. Electric and hydraulic vibrating hammers and vibrating rammers broaden the product range. A new generation of drilling rigs with the models RH 0812, RH 0912 and RH 1413 is developed and placed on the market. Eberhard Dornfeld, son of the founder Reinhold Dornfeld, long time manager and partner of DELMAG passes away on 25th November. So far the biggest drilling rig RH 4037 is produced. A floating ram for swiss army is developed. The DDK system (dual rotary head) is presented and honoured with the Innovation award at the bauma show. DELMAG declares insolvency only few months later. 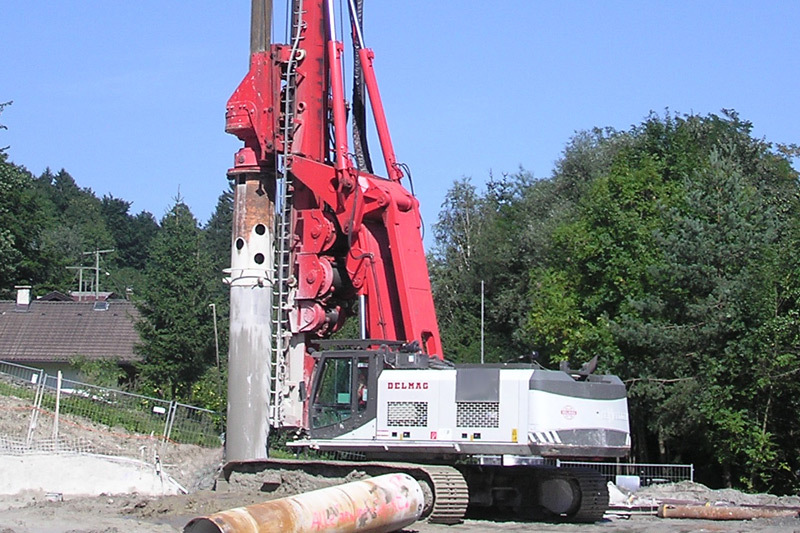 The company ABI GmbH from Niedernberg acquires the piling and drilling equipment division. Matthias Heichel, son of the ABI founder, is appointed CEO of DELMAG. 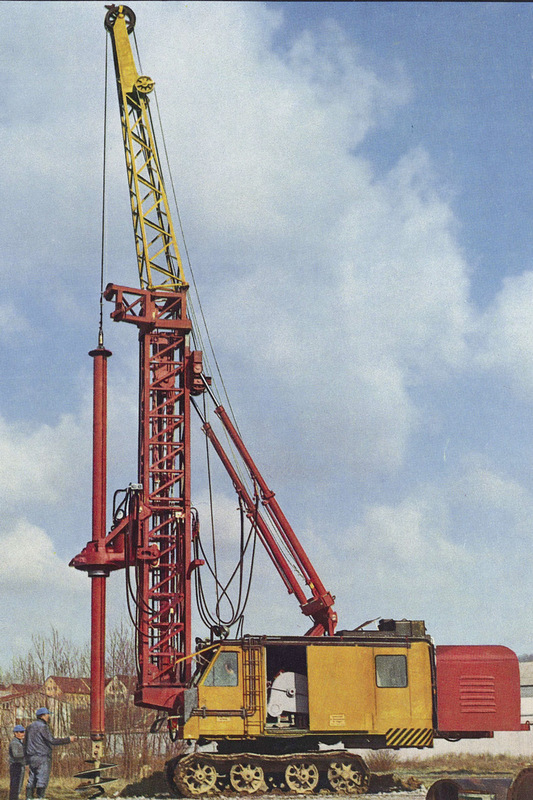 DELMAG specializes in pile driving equipment. New leads are developed and offered with additional accessories as complete piling systems. ABI takes over the responsibility for design, sales, service and final assembly of drilling rigs. 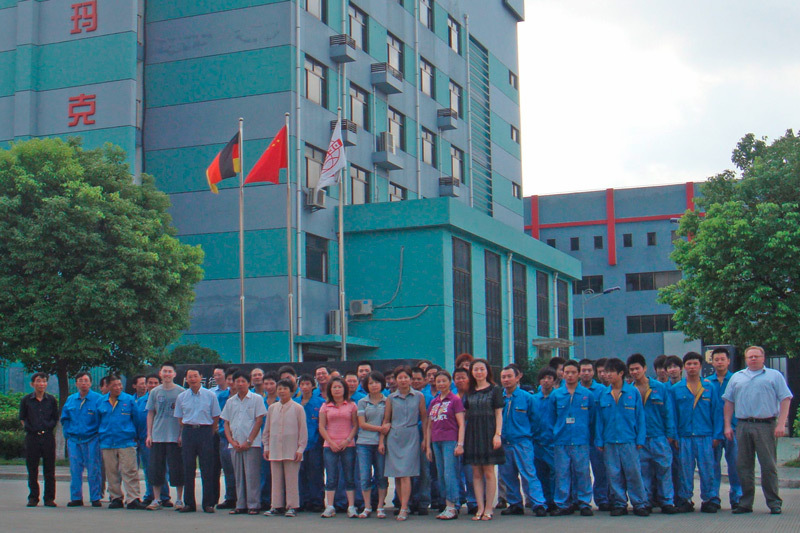 Opening ceremony of DELMAG Shanghai Heavy Machinery Co. Ltd. for the production of diesel pile hammers for Asian market. 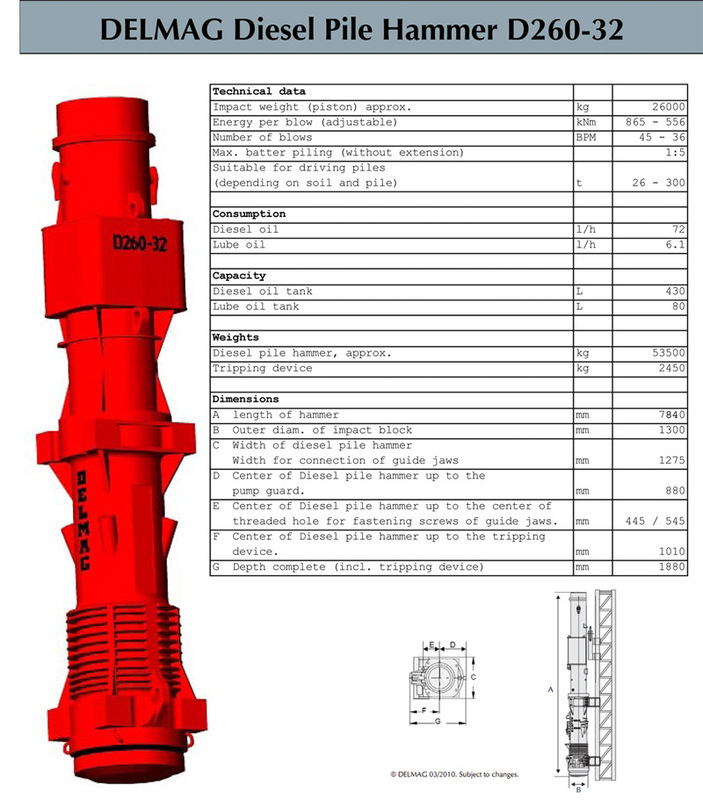 Product range of diesel pile hammers is extended with the models D125, D160 and D 260. 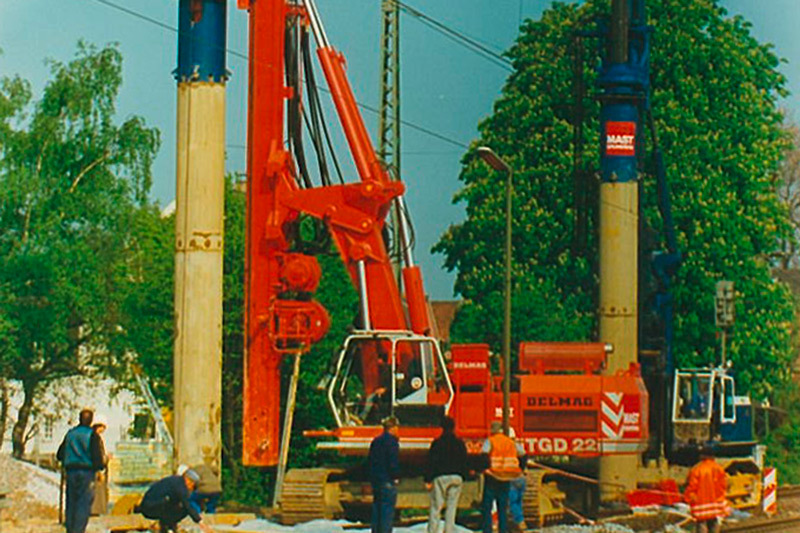 The diesel pile hammer D 260 was designed in Germany and made and put in action by DELMAG Shanghai.